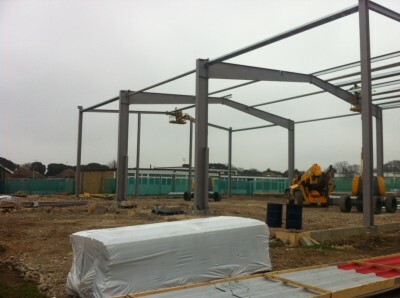 The new Sports Hall at St Anthony’s School in Margate is on site and taking shape. 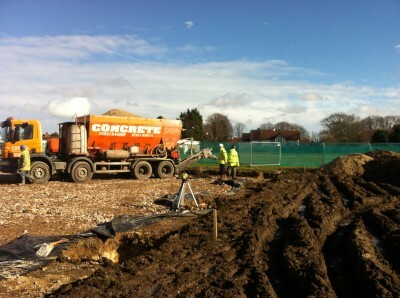 The new facility for the Kent County Council special needs school will accommodate a 3 badminton court sports hall, store, 2 changing rooms with toilets, staff changing and toilets, as well as a new Head’s office and reception. 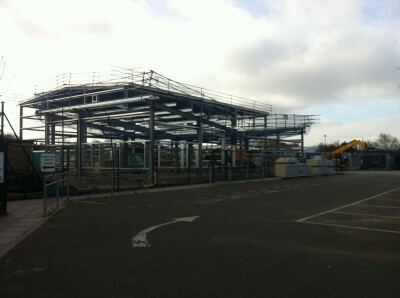 The lower accommodation building will become the main entrance for the school, providing an easily located and recognisable entrance. Directline Structures were engaged for a complete Design and Build package – we started from first principles to design an affordable sports hall within their tight budget which would be specifically tailored to the precise requirements. Every element of the building has been designed with the end users in mind, from the rainwater down pipes to the wall linings – how the building will be used is factored into every decision. 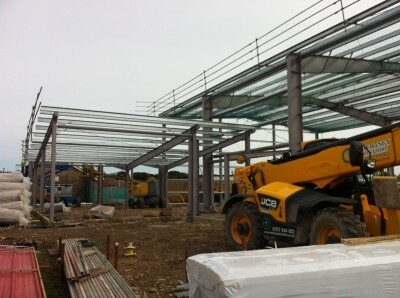 The benefit of the Directline Structures procurement approach is very clear on this project – there are big overlaps between the design team and the construction team, meaning that the designers work to realistic parameters, and the contractors are guided by design quality, all whilst minimising waste and keeping control of costs throughout the process. With a true Design and Build project, value is achieved through reducing waste, not quality.